Class arbitration is available only when there is an affirmative contractual basis for concluding that the parties agreed to it (5-4). Another 5-4 arbitration decision from the US Supreme Court: No class-action arbitrations based on ambiguity. There must be an affirmative contractual basis for concluding that the parties agreed to class arbitration. Lamps Plus v. Varela (US Supreme Ct 04/24/2019) [PDF]. Varela filed a putative class action against his employer on behalf of employees whose tax information had been disclosed to a hacker. Varela's employment contract contained an arbitration agreement, so the employer moved to compel arbitration on an individual – not class – basis. The trial court authorized class arbitration and dismissed Varela's claims. The 9th Circuit affirmed. The US Supreme Court (5-4) reversed, holding that under the Federal Arbitration Act (FAA), an ambiguous agreement cannot provide the necessary contractual basis for concluding that the parties agreed to submit to class arbitration. The 9th Circuit recognized that Stolt-Nielsen S. A. v. Animal Feeds Int'l Corp., 559 U. S. 662 (2010), held that a court may not compel arbitration on a classwide basis when an agreement is "silent" on the availability of such arbitration. But the 9th Circuit ruled that Stolt-Nielsen was not controlling because the agreement in this case was ambiguous rather than silent on the issue of class arbitration. The US Supreme Court pointed out that courts must give effect to the intent of the parties, and it is important to recognize the "fundamental" difference between class arbitration and the individualized form of arbitration envisioned by the FAA. Class arbitration "sacrifices the principal advantage of arbitration – its informality – and makes the process slower, more costly, and more likely to generate procedural morass than final judgment." Like silence, ambiguity does not provide a sufficient basis to conclude that parties to an arbitration agreement agreed to sacrifice the principal advantage of arbitration. Instead, there must be an affirmative contractual basis for concluding that the parties agreed to class arbitration. The dissent would allow the application of California's "plain-vanilla rule of contract interpretation" which would require interpreting an ambiguous contract against the drafter. The US Supreme Court has brought us a decision that we may actually remember for about five minutes. It's that exciting. The Court holds that a railroad's payment to an employee for working time lost due to an on-the-job injury is taxable "compensation" under the Railroad Retirement Tax Act (RRTA). 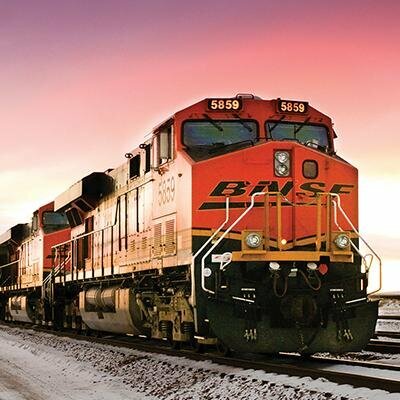 BNSF Railway v. Loos (US Supreme Ct 03/04/2019) [PDF]. Loos sued BNSF Railway under the Federal Employers' Liability Act (FELA) for injuries he received while working at BNSF's railyard. A jury awarded him $126,212.78, ascribing $30,000 of that amount to wages lost during the time Loos was unable to work. BNSF asserted that the lost wages constituted "compensation" taxable under the RRTA and asked to withhold $3,765 of the $30,000 to cover Loos's share of the RRTA taxes. The District Court and the Eighth Circuit rejected the requested offset, holding that an award of damages compensating an injured railroad worker for lost wages is not taxable under the RRTA. The Supreme Court reversed, 7-2. The Court noted that the statutory foundation of the railroad retirement system mirrors that of the Social Security system. Thus, the term "compensation" in the RRTA was given the same meaning as the term "wages" in the Federal Insurance Contributions Act (FICA) and the Social Security Act (SSA). Therefore, as is true for backpay, FELA damages for lost wages are "compensation" taxable under the RRTA. "When an employee suffers a physical injury due to his employer’s negligence and has to sue in court to recover damages, it seems more natural to me to describe the final judgment as compensation for his injury than for services (never) rendered." After all, the RRTA taxes an employee’s "compensation," which it defines as "money remuneration . . . for services rendered as an employee to one or more employers." 26 U. S. C. §3231(e)(1). Is Uber next? US Supreme Court case could be a game changer. Justice Kavanaugh’s 1st opinion: Arbitration.